My husband and 11 year old son are huge sports fanatics. Our son is a huge Pittsburgh Steelers fan, dedicated and loyal no matter what others say. He also has a huge sports collection: figurines, trading cards, baseball bats, posters and more that cover his room from top to bottom. I was recently introduced to Lil' Teammates Collectible NFL Team Sets and they were a huge hit! These lil' guys are so cute and adorable. Sports fan or not, one look at them and you will fall in love. They each have their very own distinctive and unique personality, their facial expressions are simply priceless. The collectible team sets include three key NFL position figures: quarterback, lineman and running back. 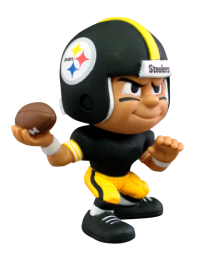 These fully licensed 3" tall vinyl collectible sports figures have rotating head, arms and waist. There are 22 NFL teams available, and they come in an attractive diorama display package. Is your favorite NFL team represented? 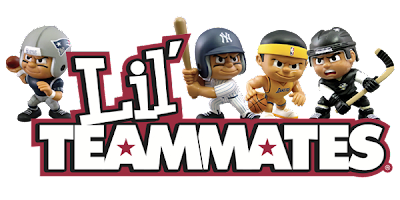 These lil' collectible sports figures are durable enough for children to play with, in addition to being perfect for teens and adults to add to their sports collections. They make a great gift or stocking stuffer! Believe me when I say that these lil' guys are perfect for boys and girls of all ages! My husband and daughter like them just as much as my does! Just in time for holiday gift giving and a great stocking stuffer idea, use promo code SCORE20 at checkout to save 20% off your entire purchase! This giveaway will end December 11th at Midnight EST. Disclaimer: I received a complimentary Collectible NFL Team Set from Lil' Teammates for the purpose of writing a review and hosting a giveaway. Regardless, I only recommend products or services I use personally and/or believe will be a good fit for my readers. The views and opinions expressed on this blog are purely my own. Results may vary. No monetary compensation was received. I would definitely pick the Steelers!! !